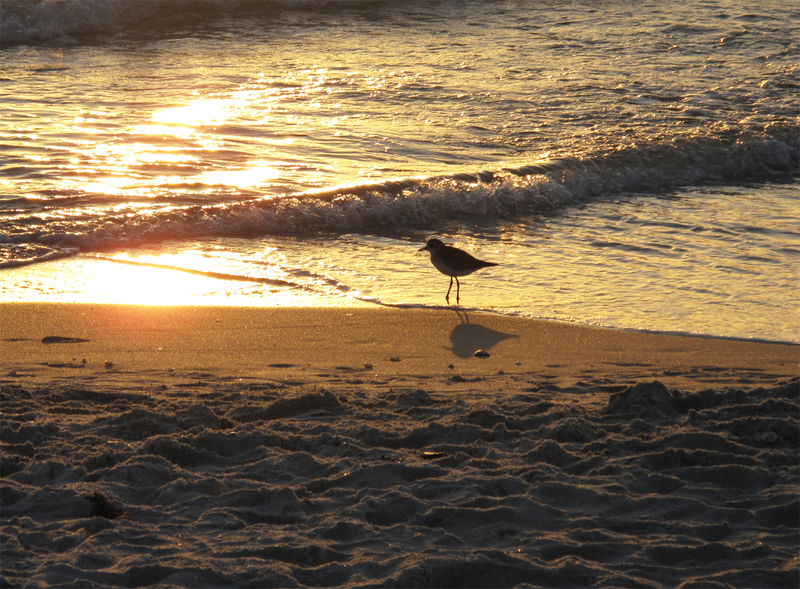 Nothing like the vision of a shore bird at sunset to take you away from the habit of over-thinking all the live long day. 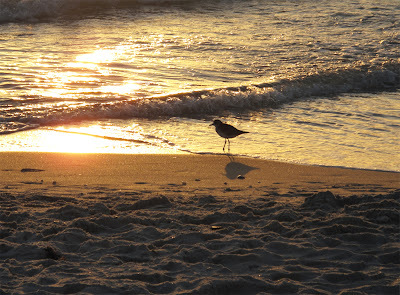 These delightfully innocent creatures appear weightless as they scamper over the cooling sand. Add a couple of deep healing breaths and the soft scent of sultry salt air (alliteration alert) - and you have the makings of a transformative moment with which to end your day. Namaste. Or start your day. listening to your music and enjoying the shore before I go out into the cold, off to work. I need a rest, just put Eva on the school bus. getting 9 year olds out the door is more work than I like to do this early.